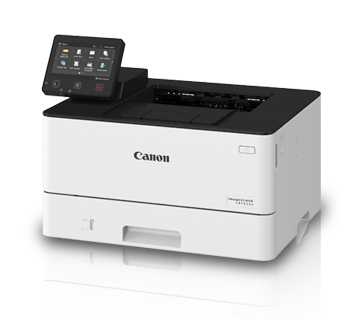 KUALA LUMPUR, 23 JULY 2018 – Canon Marketing (Malaysia) Sdn Bhd recently introduced its new range of laser printers designed specifically to meet business needs for optimised workspace efficiency and productivity with versatile connectivity, efficient printing and simplified work processes. Space-saving and designed to suit a mobile workforce with easy connectivity, the imageCLASS LBP215x, LBP214dw and LBP162dw Monochrome Laser Single-Function printers complement the modern aesthetics of contemporary workplaces with its small footprint and stylish design. Perfect for businesses with on-the-go users, all three models offer seamless wireless connection, making print jobs effortless wherever they are. 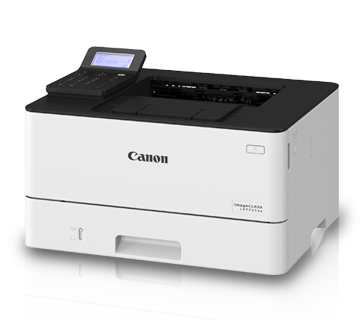 Boosting cost and workforce efficiency, Canon’s new All-in-One Monochrome Laser Printers imageCLASS MF525x, MF429x and MF426dw simplify work processes which support growing businesses that demand high demanding productivity levels as well as sustainable growth. Equipped with intelligent task automation, the new multi-function range speeds up and simplifies printing, scanning and faxing tasks with various one-touch solutions and preferred setting customisations to suit work requirements and document needs. Andrew Koh, President and CEO of Canon Marketing Malaysia said that Canon is aware of the complex challenges businesses face which requires reliable, hassle-free and easy-to-connect devices that support productivity. “In the fast-pace work environment, it is imperative that customers focus more time on their core businesses. As a digital imaging solutions leader, Canon makes it a priority to constantly improve its portfolio of solutions with newer technology that have the capabilities to support business needs for faster accessibility and provide superior customer experience,” he said. “The six high-performance printers will help businesses to efficiently streamline their daily workflow, reduce operation time and enjoy faster printing speed,” explained Sandy Lee, Head of Consumer System Products Division of Canon Marketing Malaysia. Lee added that both the new ranges are ideal for Small Office Home Offices (SOHOs), Small Medium Enterprises (SMEs) and workgroups within large enterprises. The imageCLASS LBP215x, LBP214dw and LBP162dw range is perfect for smaller work areas and is a powerful for home and small offices with its 28 to 38 pages per minute print speed and Wi-Fi connection. While the imageCLASS MF525x, MF429x and MF426dw range features a print speed of up to 43 pages a minute which can easily manage heavy workloads amongst its other features that increase user convenience,” she said. 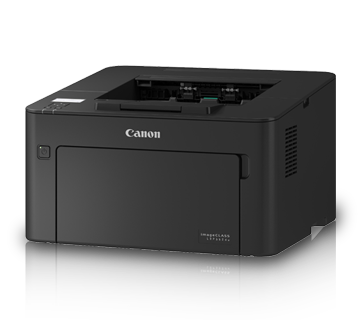 In addition to the new laser printers, Canon Marketing Malaysia has also introduced a guide to identify genuine ink and toner to be used in the brand’s printers that will ensure users get the best results from their printers. The guide highlights four key benefits of using genuine ink and toners which include cost effectiveness as it reduces reprints and protects printer warranty; provides superior print quality output; cares for the environment with ozone-free electrical charging technology and assures compatibility with the brand’s printers for excellent printouts. “We are aware that many of our customers may not fully realise the importance of using genuine ink and toner for better output and enhances the lifespan of their printers. The guide will help them understand this better and how to recognize genuine Canon ink and toners by identifying the Canon hologram sticker or embossed logo,” added Lee. Designed to meet today’s fast-paced work environment, the imageCLASS MF525x, MF429x and MF426dw help users get tasks completed faster with less waiting time at the printer. Featuring swift single pass scanning of two-sided documents and remarkable printing speed of up to 43 pages per minute (ppm), the printers offer exceptional performance to power through heavy workloads. Various optional paper input combinations allow up to a maximum of 2,300 sheets for efficient paper handling. The intelligent imageCLASS MF525x, MF429x and MF426dw help users streamline work routines and automate tasks effortlessly. With the innovative Application Library, users can create one-touch solutions that effectively streamline workflows according to individual work requirements and document needs that streamlines workflows effectively. The Scan to Present Destination simplifies scanning to a one-step operation for maximum efficiency, allowing users to scan documents with preferred settings and send to pre-defined destinations. The QR Code scan feature enables seamless device pairing with the Canon PRINT Business app for mobile printing and scanning. The printers also support other mobile printing solutions that include Google Cloud Print™, Apple® AirPrint™ and Mopria® Print Service, enabling users to carry out day-to-day tasks wirelessly from any connected device with absolute ease. The smart printers also provide hassle-free toner replacement by removing the protective toner seals automatically during the replacement of toner cartridges, keeping the handling of cartridges to the minimum and allowing work to resume quickly. 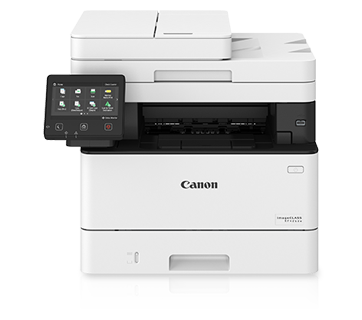 Built with a large 5-inch colour touchscreen LCD, the easy-to-operate printers offers a simple navigation system across the intuitive user interface. Smartphone-like virtual QWERTY keyboard and the display of high resolution icons in a clean layout ensure superb ease of use. Available as a shortcut on the home screen, the latest imageCLASS printers offers a one-touch solution for users to make copies of identification cards and passports in various layouts via a simple one-touch operation. Supporting greater convenience, users can preview faxes stored in the device memory before sending for print, avoiding possible print wastage. With optional high-yield toner cartridges made available to all three printers, users can now print more documents in between replacements. The increased page yields translate to lower cost per print and help businesses achieve long-term savings with reduced running costs. The latest imageCLASS LBP162dw, LBP214dw, LBP215x, MF426dw, MF429x and MF525x are available at Canon Image Square stores and authorized Canon dealers in Malaysia.